The model O-10 pressure transmitter has been developed for a wide variety of industrial applications. A large range of process and electrical connections as well as all commonly used pressure ranges and output signals set the model O-10 apart. For applications in which water is used as a medium we recommend a 5-fold overpressure safety in combination with a condensation-tight case. Due to its specifications, its features and its price, the pressure transmitter is ideally suited to OEM applications with an annual quantity requirement of more than 1,000 units of each part number. Accordingly, the minimum batch size is 50 units. 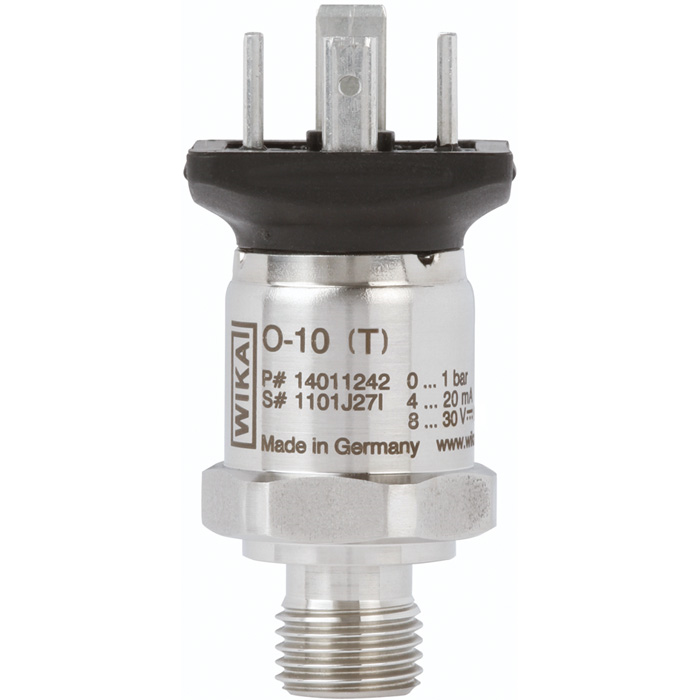 The model O-10 has been designed specifically for the demands of the global market.The pressure transmitter offers international units and the corresponding approvals for the North American and Russian markets. It goes without saying that the O-10 can be delivered with customer-specific labelling (e.g. company logo and model designation).